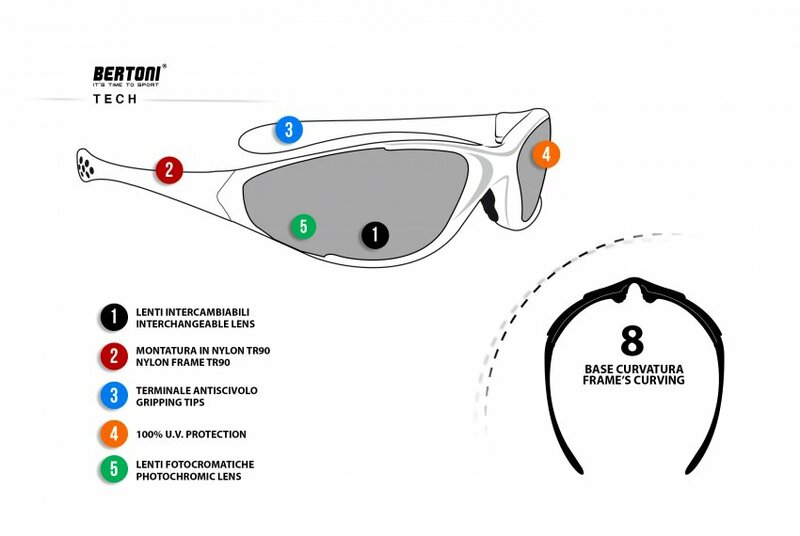 Photochrome Sportbrille F200 by Bertoni Italy : The Photochromic bertoni’s sunglasses “F200A Anniversary” is a review of the popular D200 in the occasion of the society’s tenth anniversary These sunglasses have photochromic antifog lenses, that with the increasing and the decreasing of the UV light they automatically tend to darken or lighten, always ensuring a great visual performance. 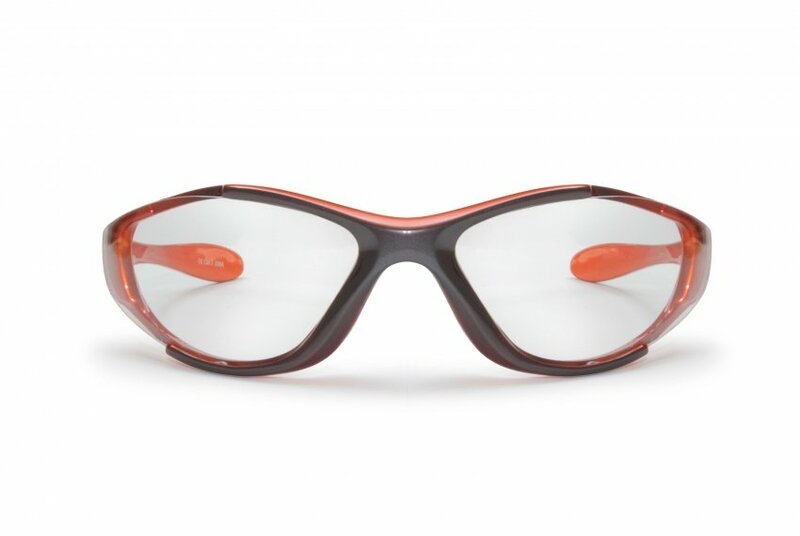 These lenses are made in anticrash polycarbonate, to protect the eyes, in sunny days and in low and medium brightness conditions. 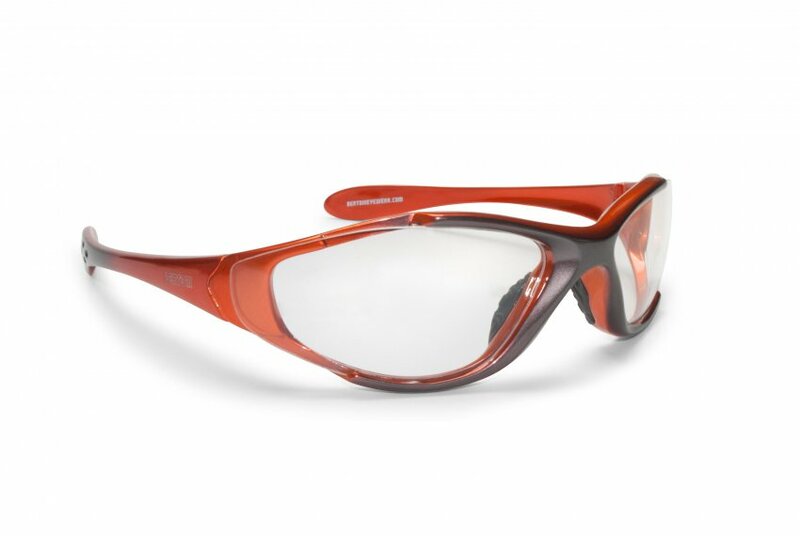 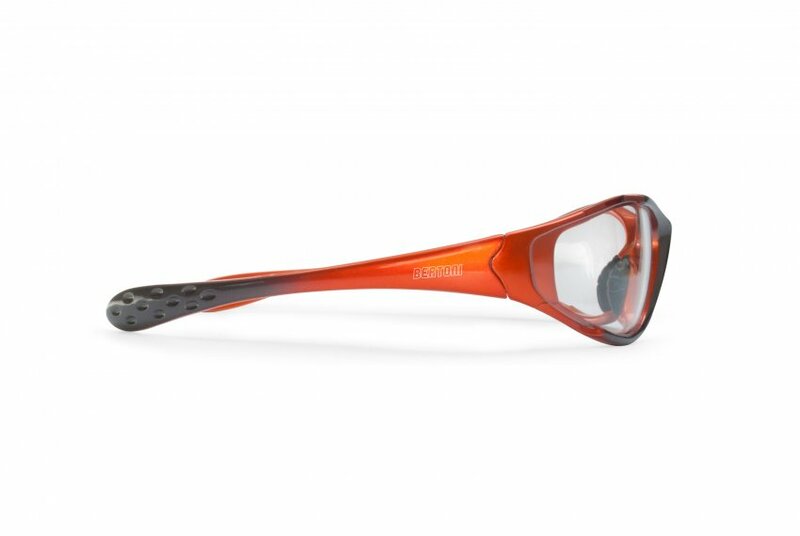 In addition, they are treated with a special resin that can disperse the condensation that forms on the surfaces of the lenses in the transition from hot to cold. 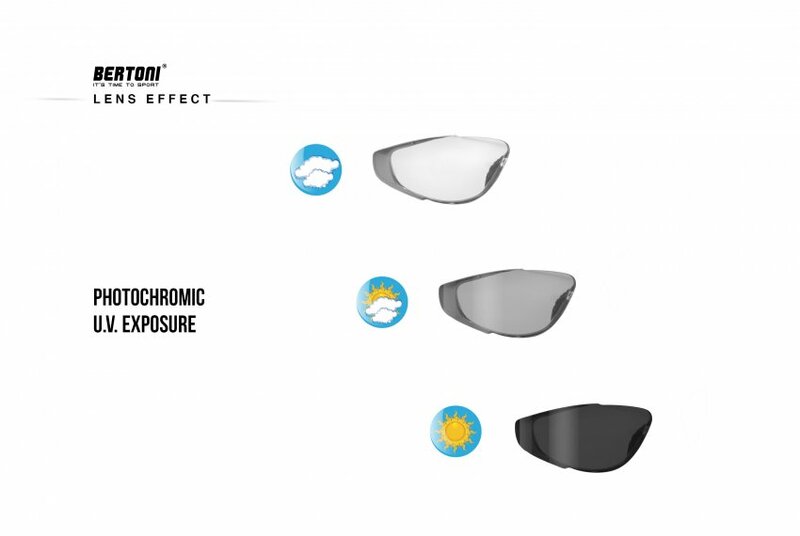 The reaction time of the photochromic lenses is very fast: only 8 seconds to go from clear to dark, and 35 seconds from dark to clear. 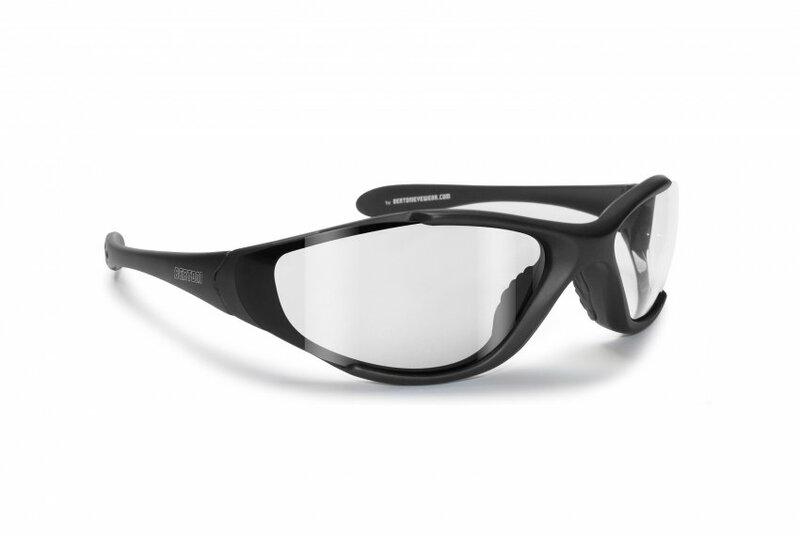 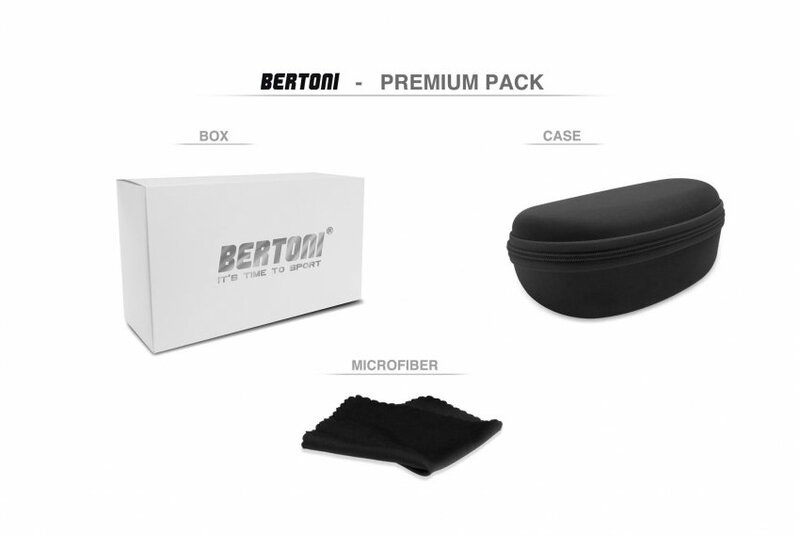 The frame is made of non-deformable nylon, a plastic material with high impact resistance, and a memory position, that make them great for all kind of sports, specially for motorbike, they are considered the best sunglasses for motorbike for they good fit under the helmet.